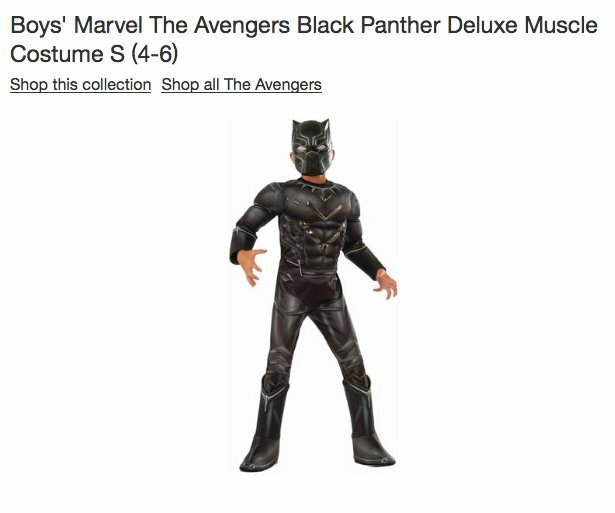 A conservative blogger says he has managed to force US’s second-largest retailer to change the photo for a Black Panther costume so that the model kid didn’t look white. In case you’ve missed the entire ‘Black Panther only for black kids’ debate, here it is. When the Marvel superhero movie was released in January, it was both a major commercial success and a cultural event for many people. After all, it featured a predominantly black cast, borrowed heavily from African cultures for its setting and its core conflict was about how to best deal with the toxic legacy of black slavery and racism in the US.